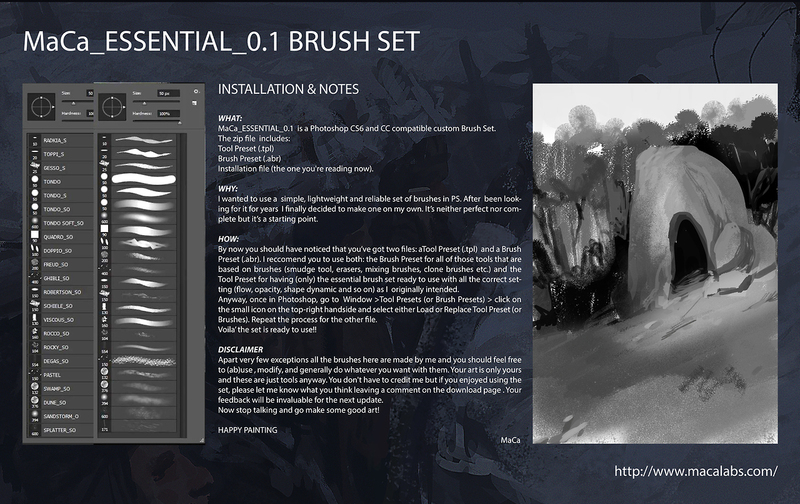 Here is a great resource for a wide variety of Photoshop Painting Presets and Brushes. All are free and have illustrated examples of art created with the brushes. This is a valuable resource for anybody using a Wacom tablet. Ray Frenden is a great illustrator who is selling some of his favorite brushes. He’s offering several Photoshop and Manga Studio brushes. If you haven’t tried Manga Studio it’s well worth the low cost. I just got Manga Studio 5 for $17. It’s the real deal for inking.